Song-length drum groove backing tracks by some of the world’s greatest drummers for guitarists and other musicians to jam along to. 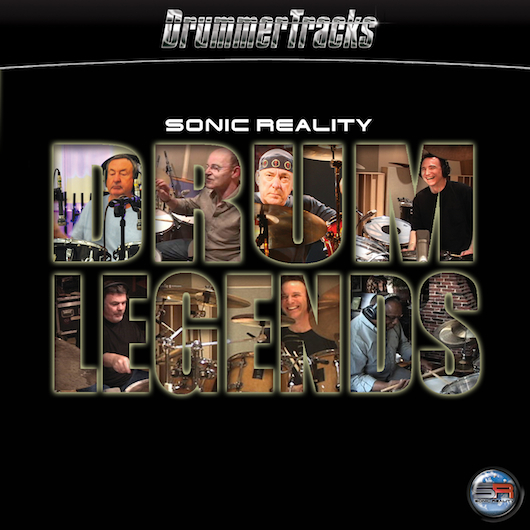 December 23, 2013, Sunrise, Florida – Sonic Reality sound development company has released 16 new DrummerTracks play along drum groove collections including a title called “Drum Legends Vol 1” which features drum performances of legendary musicians Neil Peart (Rush), Nick Mason (Pink Floyd), Bob Siebenberg (Supertramp), Rod Morgenstein (Dixie Dregs), Billy Cobham (Mahavishnu Orchestra), Terry Bozzio (Missing Persons) and Woody Woodmansey (David Bowie’s Spiders from Mars). Each of these isolated “drum only” albums are now available to purchase from popular music download sites such as iTunes® and Amazon® as well as others including the new DrummerTracks CD Baby™ shop. 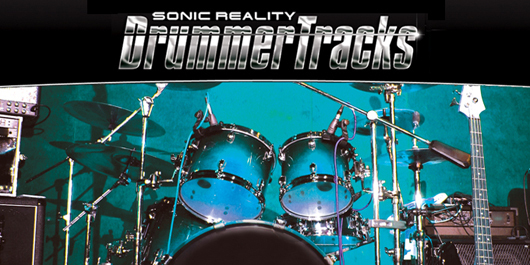 Sonic Reality, a company known for making advanced virtual drum kits and groove sample libraries for musicians, has brought their “album quality” drum grooves to a wider range of musicians reaching both the beginner and the pro. With the new downloadable DrummerTracks mp3 albums, each drum track can either be simply played back out of an mp3 player or imported into popular apps such as IK Multimedia’s AmpliTube guitar/amp software, Apple’s Garageband or other mobile music apps and software on the Mac and PC. Then, a guitarist, bassist, keyboardist or other musician can play along to the grooves for practice, for fun or for songwriting inspiration and even professional use in their own music productions. The series offers a unique virtual reality experience jamming with some of the best drummers in the world and working with distinct and iconic drum sounds and styles at a much lower cost than high end sample libraries or live studio drum sessions.